Who is that handsome couple? It's Wayne and Glenna Spray! 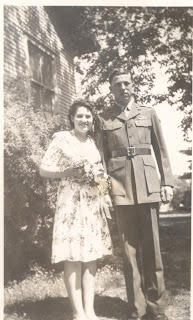 Congratulations to Wayne and Glenna who were married on June 11, 1944. Congratulations Wayne & Glenna! 65 years -- Great!